We had the pleasure of working with Katapult to launch our new Boardwalk mixed-use development of retail/bar & dining/offices in Willington. The Katapult team helped make our ideas a reality and delivered an excellent campaign and new website as well as a signage audit. What do you need to do to increase footfall and revenue to Europe’s largest inland marina? 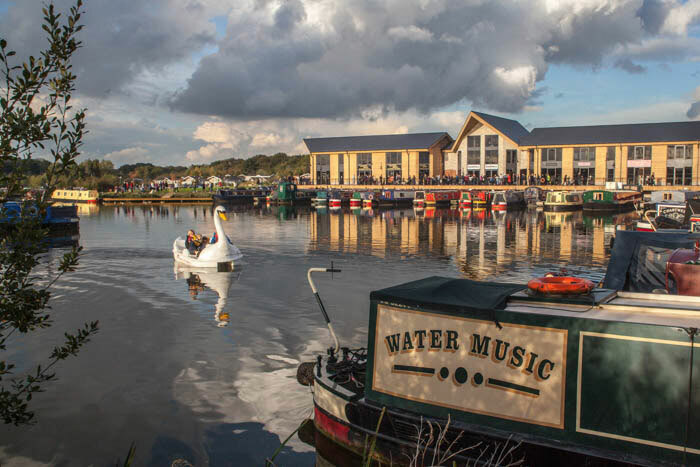 Having worked hard to preserve the tranquil wildlife habitat surrounding it Mercia Marina needed their brand to reflect the stunning natural setting in which it is located. 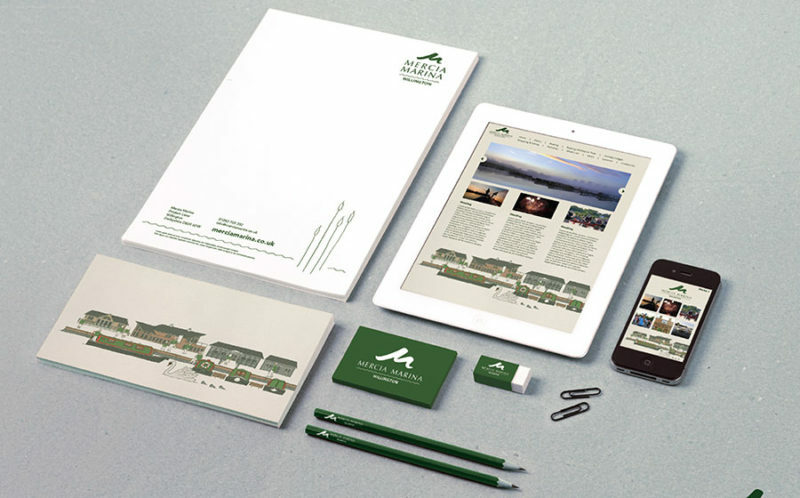 We refreshed the Mercia Marina logo, created a stylised illustrative comms look & feel and we updated their website. 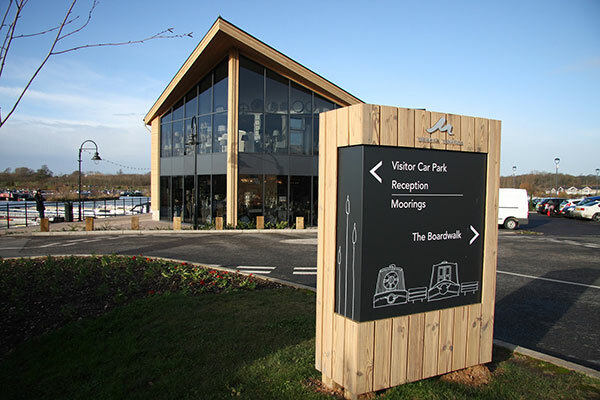 Due to new on-site developments such as the Boardwalk area, Mercia Marina needed wayfinding signage for their site to guide visitors to new food and retail outlets, as well as the Marina’s boating services, holiday cabins and nature walks. We conducted an on-site audit to define visitor flow and visitor types. This helped us identify key touch points to position signage and define categories to make it easier for visitors to locate each of Mercia Marina’s broad range of facilities. Working in collaboration with the Findern Footpaths group, we developed a range of walking maps to both support the launch event and ongoing leisure footfall to the marina. We finished by developing a marketing campaign to promote the opening weekend. The campaign featured a strong digital element, which included; Facebook advertising, digital adverts on local media sites, leaflet drops to residents within a 6 mile radius and outdoor signage which we positioned on main routes around the area. Since launching the new website and Facebook advertising campaigns, Mercia Marina’s website traffic has increased: Year on year referral traffic from social media has more than quadrupled. The Marina has also achieved its goal of reaching new audiences; website analytics reflect a 10% year on year increase in new website visitors versus returning visitors.